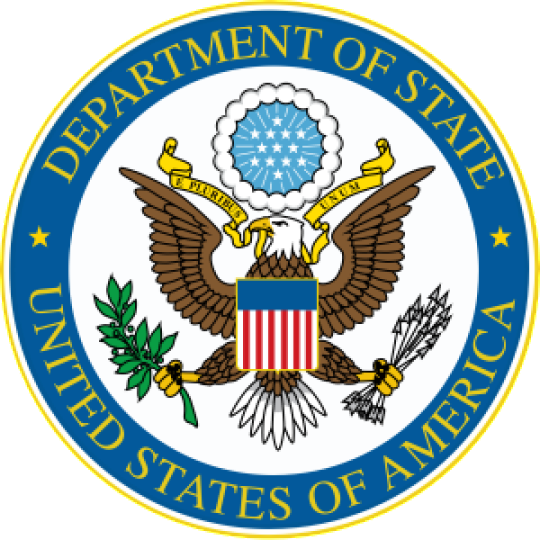 Sponsors – The U.S. Department of State designates U.S. organizations such as government agencies, academic institutions, educational and cultural organizations, and corporations to administer exchange visitor programs. These organizations are known as sponsors. Sponsors screen and select exchange visitors to participate in their programs based on the regulations governing the exchange activity and stated in 22 CFR Part 62. Sponsors provide participants pre-arrival information, an orientation, and monitor their activities throughout their exchange program. Sponsors offer or identify cross-cultural activities that will expose exchange visitors to American society, culture, and institutions. Exchange visitors are encouraged to participate in activities that provide them with an opportunity to . share their language, culture, and history with Americans. Exchange Visitor – An exchange visitor is a foreign national selected by a sponsor to participate in an exchange visitor program and who is seeking to enter or has entered the United States temporarily on a J-I visa. Spouse and dependents – Some categories of the Exchange Visitor Program permit a spouse and/or unmarried children, under 21 years of age, to accompany an exchange visitor to the United States. These individuals are dependents of the J-l and may apply for J-2 visas with the permission of your sponsor. IT IS IMPORTANT THAT YOU understand and abide by the Exchange Visitor Program regulations, U.S. laws and sponsor rules. Regular contact with your responsible officer will help you keep current of any change which may affect your J-visa status. Some requirements of the Federal regulations and where to find them are indicated below. Register with your sponsor- Your Form DS-2019 was created in a computerized system known as the Student and Exchange Visitor Information System (SEVIS). This System is administered by the Department of Homeland Security and is used to collect and maintain information on the current status of Don-immigrants and their dependents in the sponsor’s program during their stay in the United States. Insurance – You are required to have medical insurance in effect for yourself (I-I) and any dependents (J-2) for the duration of your program. Some sponsors provide the required insurance for their participants. Other sponsors may allow you to make your own arrangements or may help to identify insurance carriers. Consult with your responsible officer before the start of your program. (a) Minimum Insurance Coverage – Insurance shall cover: (1) medical benefits of at least $50,000 per person per accident or illness; (2) repatriation of remains in the amount of$7,500; and (3) expenses associated with medical evaluation in the amount of $10,000. Current Regulations– The Exchange Visitor Program regulations are located in the Code of Federal Regulations, (22 CFR, Part 62). The regulations are generally available for review at the offices of your sponsor, universities, law schools, or large public libraries. For Further Information – Additional requirements hat may apply to you are set forth in the Exchange Visitor Program Regulations. Review a copy of the current regulations and consult with your responsible officer.